I loved re-living a childhood favourite, my first 'Fry's Peppermint Cream' in I don't know how many years... ! It was delicious! Really delicious! My man is an absolute genius for finding it in a wee corner shop near his work. I thought they had been long discontinued and resigned myself to never having another one again. So you can image how excited I was when he presented me with one of my most favourite chocolate bars ever... :) Hopefully you have all enjoyed something as equally wonderful this week!? A fabulous weekend to you all! They were always my favourite as a kid and I thought they had gone the way of all things ... if I ate one now it would be the nearest I'd get to that 'Proustian madeleine moment'. Will look out for them in the shops. Your blog is fab. 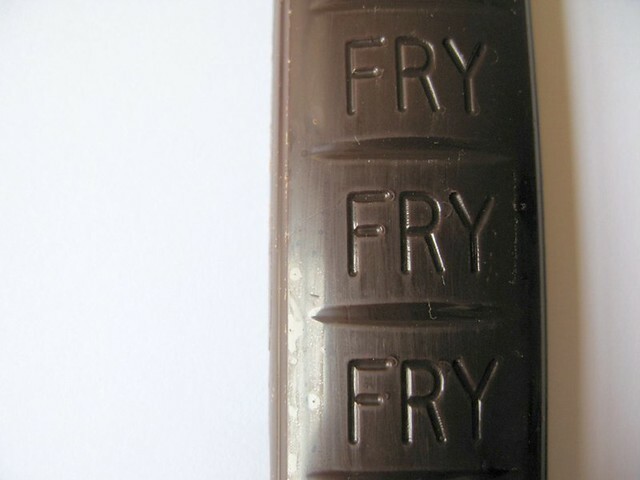 i cannot look at a fry's dark chocolate creme bar without thinking of my mum, huge big waves of 'mother love' have washed over me reading your post. They are soooo good, mind you i liked the five centre fruit one too. Scrummy....need some chocolate now! Hello! First time commenting on your lovely blog. 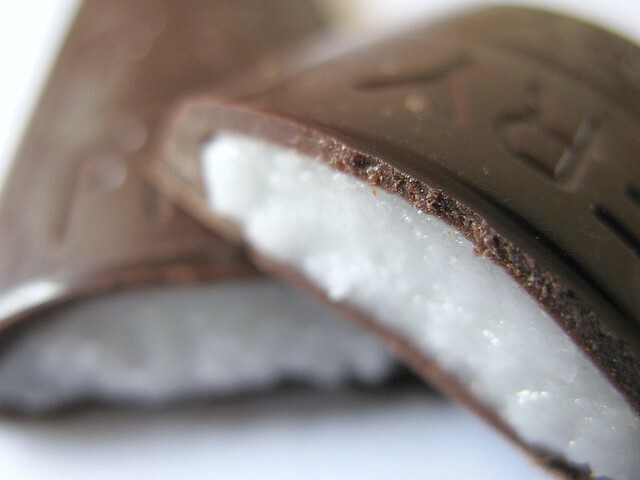 I adore Fry's Peppermint Creams, they sell them in Holland & Barrett and every time I go into town, I must have one. I haven't had one in years, I think I need one now! 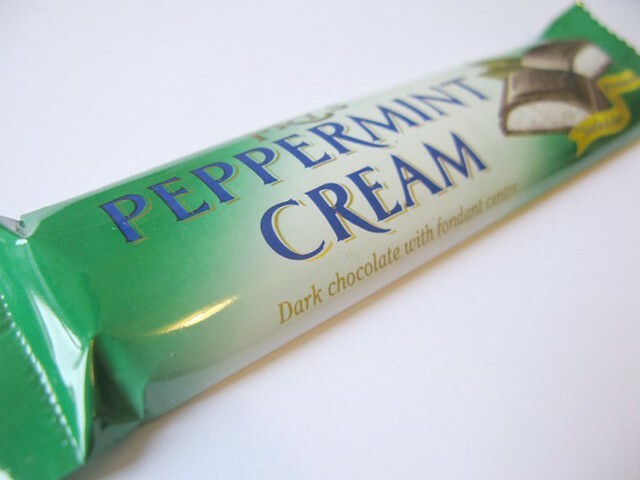 dark chocolate with peppermint ...the staff of life! !